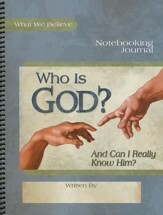 Give your children the Christian answers to the world around them with Who is God? 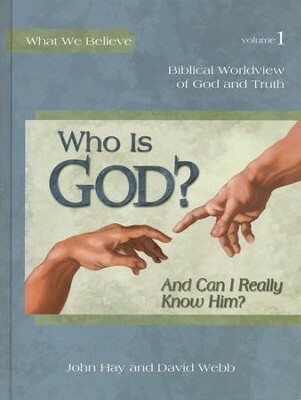 The basic questions of the Christian faith, including "How can I know what's true?," "What's God Really Like?," "If God created the world, then why isn't it perfect?," "Is Jesus the only way to God?" and others are answered through multi-dimensional lessons. Each big picture is answered through smaller segments that feature biblical instruction as well as a story featuring a Christian child sharing the gospel. Bible memory boxes, "words you need to know," and comprehension questions will help your children build a foundational Christian worldview. 253 full-color, indexed pages, hardcover. 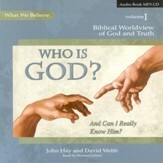 Ministries to bring you the "What We Believe" Series. God sees it and know the truth. These books are great for parents to use with their children at home. At a time when Christian teachings are subject to increasing hostility, children must learn early what they believe, why they believe it, and how to boldly defend those beliefs. The What We Believe series helps parents and their children ask the important questions-and answers those questions with uncompromising biblical truth. 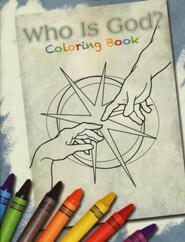 A wonderful tool to help Christian parents keep family discipleship front and center. This is one curriculum in a class by itself. A fantastic and much-needed resource for parents to help kids build a biblical worldview. I'm looking forward to taking my own kids through these valuable lessons. 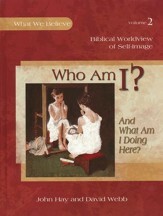 A great Bible curriculum for the entire family . . . one our family will use over and over again. Tell us a little about yourself. I am a father of six children, all of whom have been taught at home. Though I currently work as a freelance writer and editor, and I have more than a dozen years' experience in Christian publishing at the management level. What was your motivation behind this project? The project was born out of a crying need among homeschooling families for a quality curriculum to help them instruct elementary-age children in a biblical worldview as well as the fundamental beliefs of the Christian faith. Our publisher, Apologia, has published many wonderful science textbooks for Christian families and schools, and they sought us out to help them expand their offerings to include a series of full-color textbooks on worldview. Who Is God? (And Can I Really Know Him?) is the first in a series of four books. What do you hope folks will gain from this project? John and I hope that these books will change the way children and their families look at the world each day. In a world of competing ideas, these books are designed to help children learn to discern the truth by using Gods Word as a lens through which to view the world around them -- to see everything the way God sees it. We pray that these books will bring the world, its Creator, and His amazing love into clearer focus for parents and their children, helping them to build an unshakable faith to last a lifetime. How were you personally impacted by working on this project? I have been tremendously blessed by the project, which has required me to approach God anew with a childlike faith. It's not easy to describe His wonders and beauty and mysteries using only a fifth-grade vocabulary, but I did my best. Now it's in the hands of the Holy Spirit to use as He sees fit. Who are your influences, sources of inspiration or favorite authors / artists? I hesitate to mention the names of friends and colleagues for fear of omitting someone. However, among contemporary authors, I am particularly fond of the works of Kathleen Norris, Mark Buchanan, Jan Karon, and Ken Gire. Jack Hayford has been a huge influence on my life. Anything else you'd like readers / listeners to know: Our publisher, Apologia, is well known for its customer support, and this product will prove no exception. 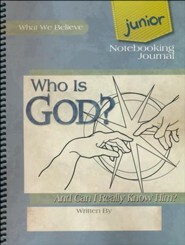 Parents and teachers who will be using these books as curriculum will have free access to extensive teaching helps and supplemental materials posted on the Apologia website. Q: Suggested age? What ages is this program recommended for? This is recommended for ages 6-14.